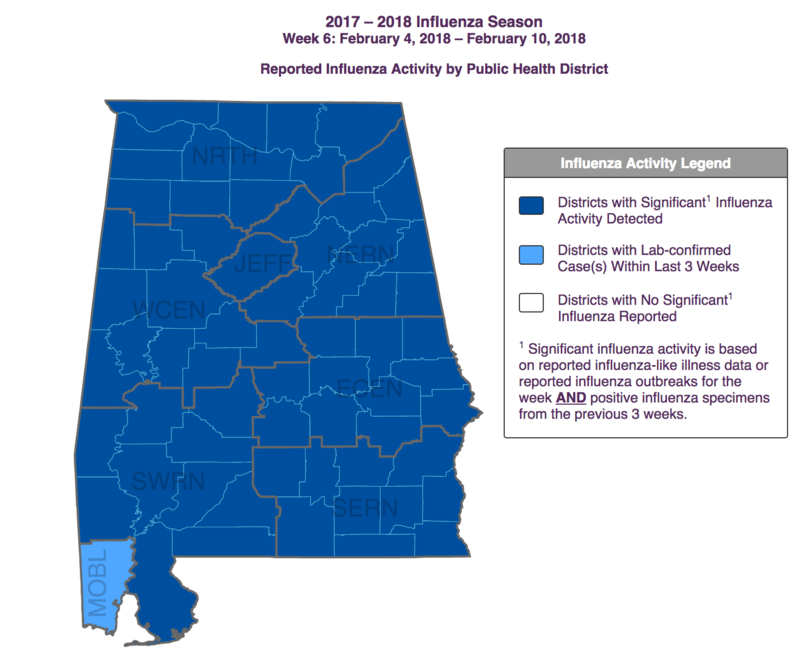 This season’s aggressive strain of the flu virus has already claimed several lives in Alabama. 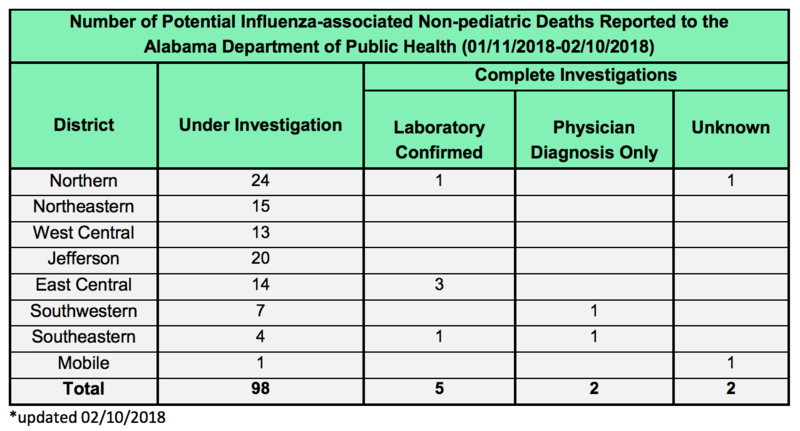 The Alabama Department of Public Health (ADPH) released updated numbers on Wednesday confirming that influenza has already taken the lives of two children and seven adults, with an additional 98 adult cases under investigation. The flu is a contagious respiratory illness, spread by a virus. 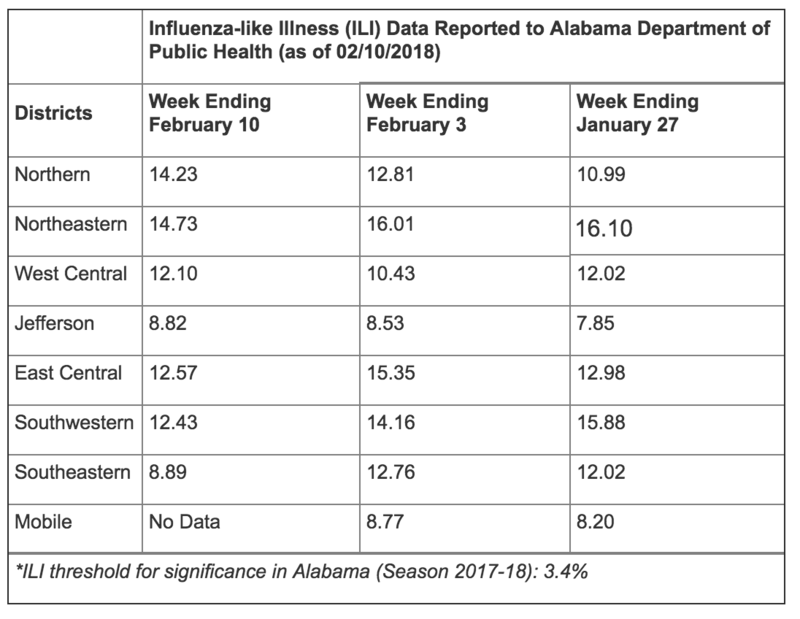 The Centers for Disease Control and Prevention (CDC) is reporting this to be the worst influenza season in over a decade. “In severe seasons in the past over 700,000 people have been hospitalized and 56,000 people died from influenza. We may be on track to reach or even exceed those records,” said Anne Schuchat, CDC acting director. Flu season typically runs from October to May, typically peaking in February. Symptoms include sudden onset of fever, headache, extreme fatigue, dry cough, sore throat, runny or stuffy nose, and muscle aches. Children may also have nausea, vomiting and diarrhea. Although most people who get the flu recover in a few days to two weeks, some develop complications like pneumonia that can be life-threatening, the CDC said. Those at highest risk include people 65 and older, people with chronic medical conditions such as asthma, diabetes, or heart disease, pregnant women, and the very young. ADPH said its still not too late to get the flu shot.